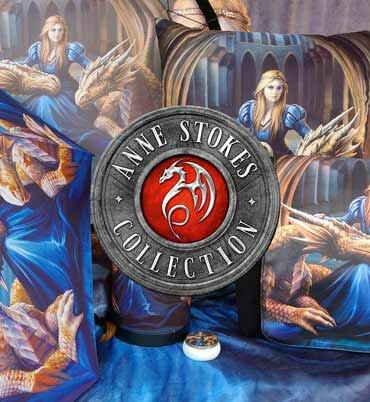 Exclusive to Nemesis Now, this enchanting shoulder bag comes from the wild and untamed imagination of internationally renowned Fantasy artist Lisa Parker. A moonlit sky visible through the open door, a black cat stands on the stone floor and rubs itself against a straw broom. A hint of magic is shown by the silver pentacle charm attached to the broom, suggesting it’s used for far more than sweeping the floor. The cat’s green eyes betray a preternatural intelligence as it stares at you, seemingly inviting you for a midnight ride. This shoulder bag has a smaller front pocket in addition to the main pocket for greater ease and flexibility of storage, as well as an adjustable strap, making it perfect for any witch wanting to take a midnight flight.